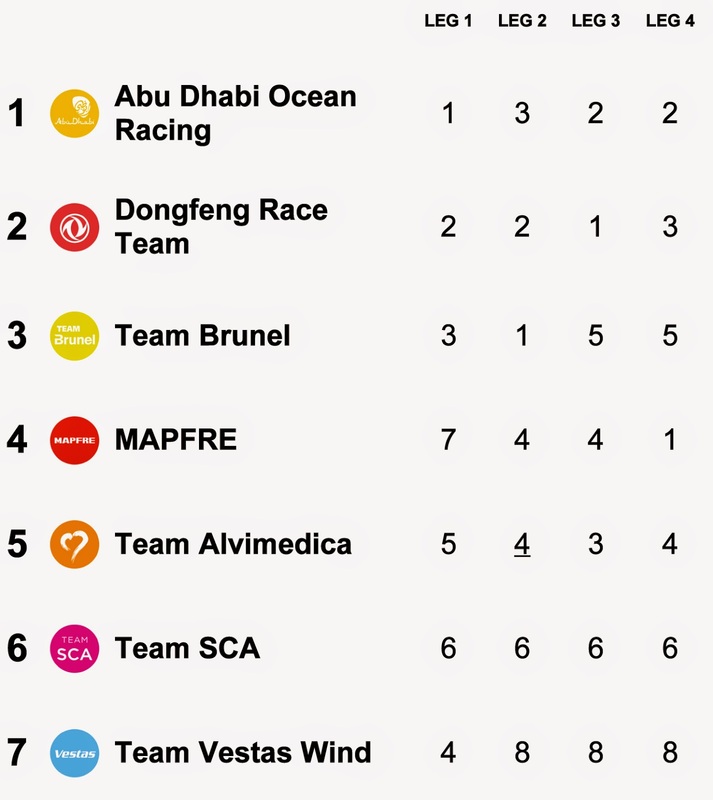 First off, congrats to Team Alvimedica on their fourth place arrival to Auckland! The past couple of weeks showcased some of the young American crew's best sailing to date and we're really looking forward to tracking their continued and steady improvement as the race continues. It was an epic battle of historic proportions at the end of Leg 4, with MAPFRE crossing the finish line in New Zealand first. The Spanish boat landed just four minutes ahead of Abu Dhabi, which was - you guessed it - four minutes ahead of Dongfeng! Can you imagine? Sailing for weeks and it came down to the narrowest of margins for podium places. After some gutsy tactical maneuvering midway through the leg, Team Brunel and the ladies of Team SCA completed the fleet's arrival and now it's time for everyone to get ready for In Port Herald race this weekend. Good job, lasses and lads! Best of luck to all the sailors for Leg 5. Next stop: Itajaí, Brazil!